Israeli Prime Minister Benjamin Netanyahu’s decision to withhold classified information from senior defense officials before he signed off on the German sale of submarines to Egypt does not warrant the reopening of Case 3000, said Attorney General Avichai Mandelblit. Attorney General Avichai Mandelblit attends a ceremony at the Hebrew University of Jerusalem on Nov. 14, 2016. Photo by Flash90. 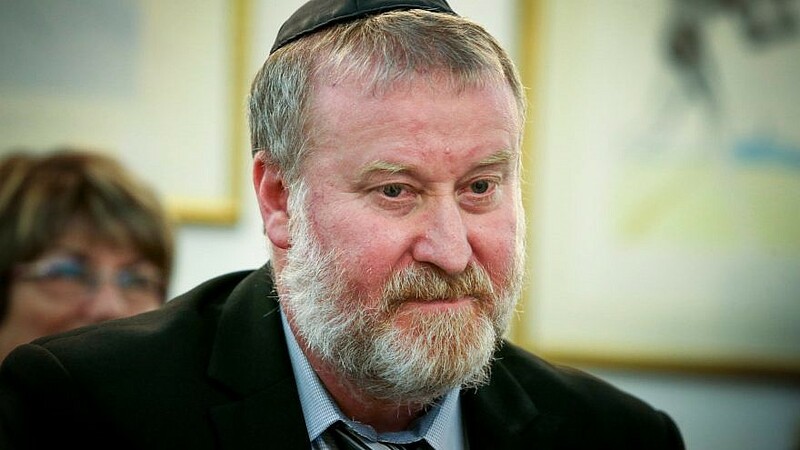 (March 26, 2019 / Israel Hayom) Israeli Prime Minister Benjamin Netanyahu’s decision to withhold classified information from senior defense officials before he signed off on the German sale of submarines to Egypt does not warrant the reopening of Case 3000, Attorney General Avichai Mandelblit said on Sunday. Case 3000, also known as the submarines affair, centers on possible conflicts of interests surrounding Israel’s decision to procure three submarines and other vessels from German conglomerate ThyssenKrupp. Police believe that those involved in the negotiations corrupted the bidding process in a way that favored ThyssenKrupp and benefited them personally. The alleged illicit actions reportedly included bribery, fraud and money-laundering. Netanyahu himself was questioned in the case and cleared of any suspicion or wrongdoing, but in recent days has come under attack for citing “sensitive information that only the prime minister and several others know about” as the reason he had approved the German sale of submarines to Egypt in 2015. In that statement, made during an interview with Channel 12 News, he confirmed that his defense minister at the time, Moshe Ya’alon, had not been informed of the decision. In light of the ensuing uproar, Mandelblit was asked to reopen Case 3000 to determine whether Netanyahu’s actions were inappropriate. In response, Mandelblit said that Netanyahu had already been questioned about his decision. “In his testimony, Netanyahu said he could not elaborate on his decision regarding the sale of German submarines to Egypt, saying that he did had not objected to the transaction because of sensitive information,” Mandelblit said in a statement. “Netanyahu further said he could not reveal the content of that information, and added that he would be able to do so in a special interview with the attorney general, but owing to the fact that the criminal investigation did not necessitate such a revelation, law enforcement officials unanimously decided not to inquire further,” wrote the attorney general.